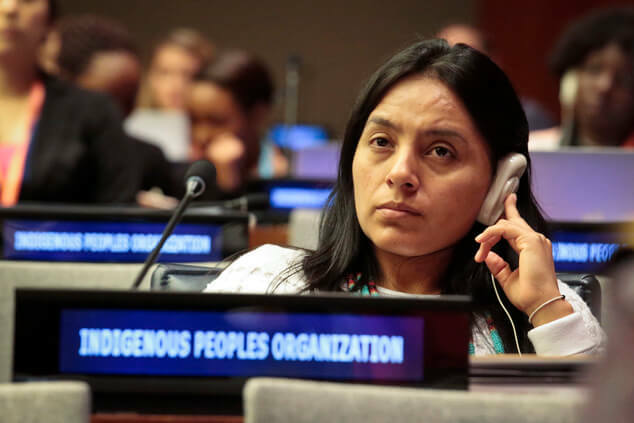 UNITED NATIONS (AP) — To hear Ati Quigua tell it, New York City is a place where people who don’t know each other live stacked inside big buildings, gorging on the “foods of violence,” and where no one can any longer feel the Earth’s beating heart. 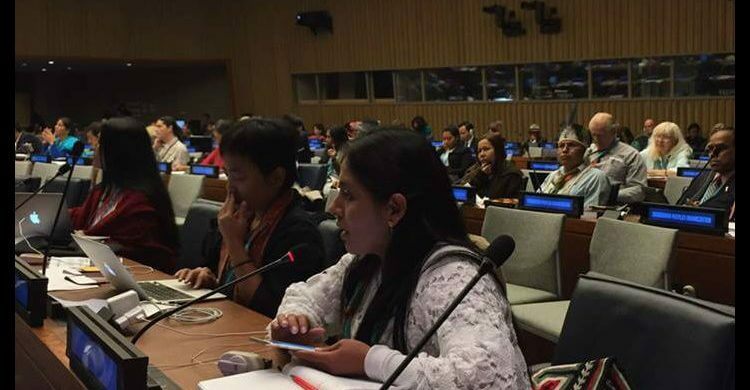 Quigua, an indigenous leader whose village in Colombia sits on an isolated mountain range rising 18,700 feet (5,700 meters) before plunging into the sea, is just one of over 1,000 delegates in town for the 15th Session of the United Nations Permanent Forum on Indigenous Issues that ends Friday. Most delegates to the two-week long forum hail from the planet’s most remote regions. Often living without plumbing or electricity or much of anything that the modern world has to offer, they arrive hoping that, amid the hubbub of America’s largest city, their voices will finally be heard upon the world stage. But the distance from home isn’t just physical, it is psychological and spiritual as well, and like millions of others who dream of making it in New York, the delegates quickly learn the reality can be quite different. Martha Magdalena Patty, an indigenous leader from the Indonesian island of Saparua, struggles with the odd customs and the food, but likes the big comfortable bed in her hotel, the security and how everything is very organized. But she worries her message about the injustices she said her people suffer at the hands of the government might get lost amid all the noise. 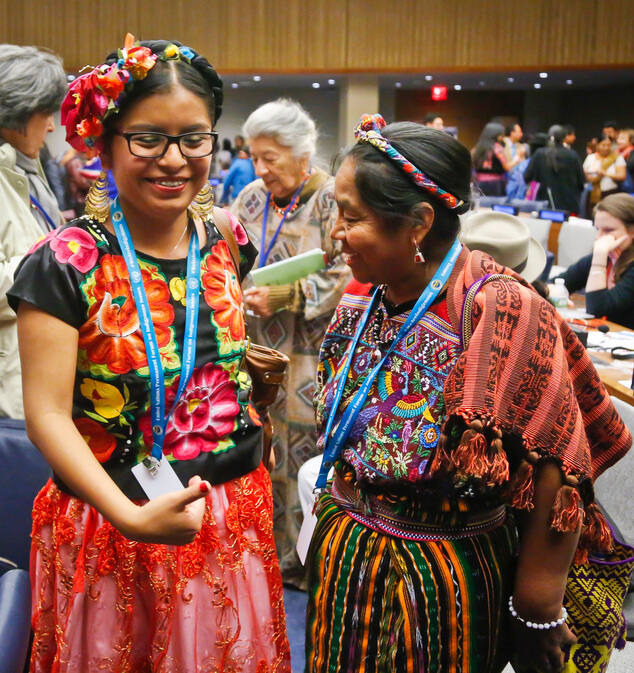 The indigenous leaders, who must remove their ceremonial headdresses and other traditional garb before entering the metal detectors at the U.N. security check alongside the visiting tourists, are also surprised to discover that the forum is a tightly controlled event with registration deadlines, strict limits on how long each person gets to speak and expense reports to be filed in exchange for daily allowances. 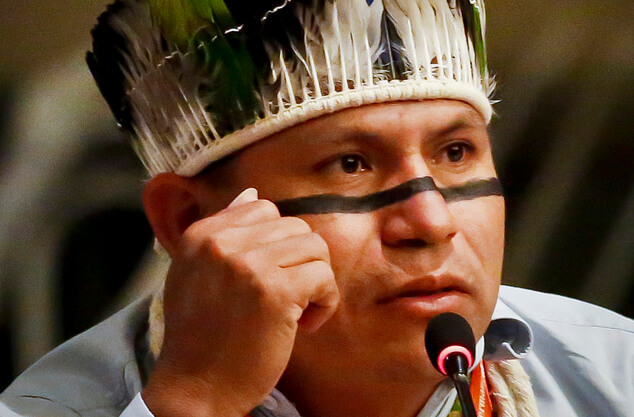 Marcos Terena, an indigenous leader from Brazil who has been attending since 1991 — when it was only a working group held in Geneva — said many delegates arrive unsure of how to behave and, like him, often lack the patience to stay for the full two weeks. He left last Saturday. 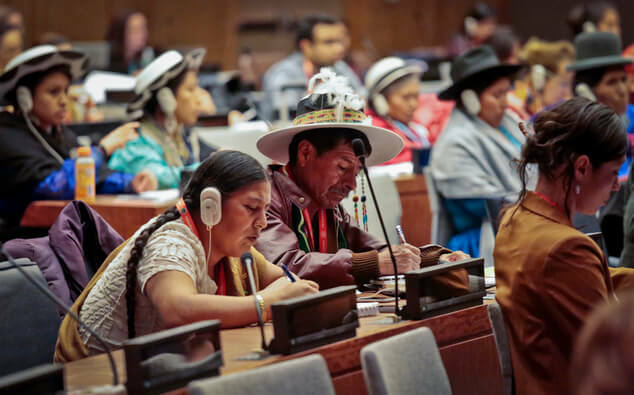 Terena said he knows of at least four indigenous people who failed to register in time, so while they can get into the U.N., they are excluded from the forum — something they find hard to fathom. “An indigenous guy comes here with all his problems at home and hopes he can denounce them, except he only has three minutes to speak. He has come with a five-page speech and doesn’t have time to finish it. Then he goes back home feeling he’s failed because he made the big trip and came back without a concrete response,” Terena said. Dali Angel, coordinator of the Commission on Youth and Indigenous Children for the Ciarena organization in Oaxaca, Mexico, knows the feeling. “When I came for the first time in 2011, it was very frustrating. I felt that I wasn’t able to participate and I was afraid that when I went home I wouldn’t know what to say. And everything was in English!” Angel said. When she got home, she told her people that they needed to come up with concrete, collective proposals. When she returned to the forum in 2012, she brought a delegation which made her feel less alone, but it hasn’t always been smooth sailing. “Yesterday, one of our friends had stomach problems and had to be taken to the hospital because he wasn’t used to what he was eating,” she said, adding that the young man, who had eaten sushi, later recovered. Raja Devasish Roy, a traditional chief from the Chittagong Hill Tracts region of Bangladesh who is also a British-trained barrister, said more than giving indigenous peoples a podium from which to discuss issues, the forum provides a chance to network with others facing the onslaught of development and globalization. Roy said he finds he has more in common with indigenous peoples — even Finland’s Sami, who live in the Arctic region — than with the New Yorkers he passes on the way to the forum. “Sometimes someone brought up in a community lifestyle from Asia or Latin America … may find city people quite aggressive. The way people walk past in railway stations, the way they look at another person. I think that indigenous people will find city people quite rude, and if I may say so, unsophisticated,” Roy said.